The sound was defined by the vocal talents of Chloe Juliette and Chris Naden, with Ian Fisher on violin and Mikk Cooper on the double bass. 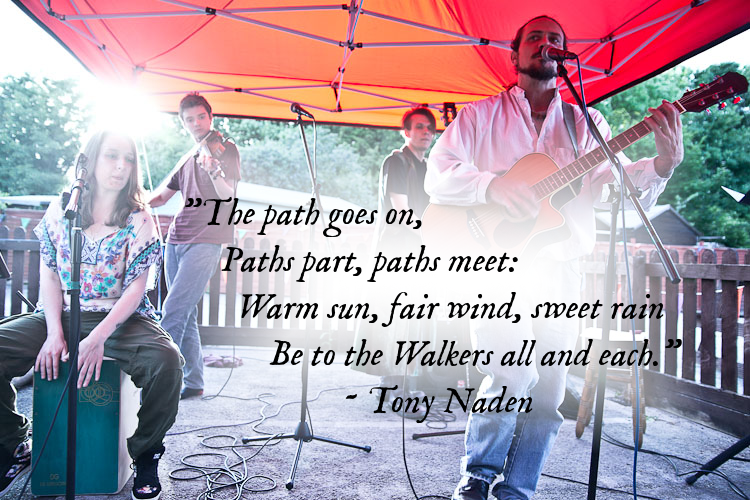 Pathwalkers were a fusion experiment, taking inspiration from the English and Appalachian folk traditions and from Chris’ compositions, then stirring in jazz, classical and world-music influences from the band to create an energetic and exuberant act. The repertoire was eclectic and occasionally whimsical, running the gamut from the 1860s murder ballad Tom Dooley and Show of Hands’ Roots to the Levellers, Rev. Hammer and Slade. Original ballads, blues and folk-rock songs were mixed with new arrangements of pieces ranging from Napoleonic marching songs to TV theme tunes to modern folk classics, to be stirred up, subverted and re-imagined. The act formed around a collaboration between Chloe and Chris: Ian joined the band in May 2012 on violin, and Mikk started rehearsals in February 2013. The band played semi-regularly in and around Coventry, Warwick and Rugby. Their last gig in this form was at the Bull’s Head in Brinklow, on June 6th 2014. (vocals, cajon, arrangements and promotions) Chloe is a passionate, powerful and prolific solo artist with a considerable following in the West Midlands and Warwickshire. After attending Coventry University and taking a degree in Music Composition, she dedicated the next two years of her life to infiltrating and energising several of the city’s music scenes, and to developing a series of early-career musicians through her work as a promoter, producer and recording engineer. Chloe’s compositions are by turns entrancing, provocative, engaging and upsetting. Fearless in confronting dark or bitter themes, there is always a measure of strength, stubbornness and joyful inspiration to her songs, with a spirit of unbounded optimism to energise her delivery. Chloe’s music draws on broad influences from classical theory to trad folk via improv jazz and Persian traditional music. Her guitar compositions lay down unexpected rhythms and chordal modes under a slick and evocative urban poetic cadence, to deliver a post-modern beatnik feel which recalls Bird and Kerouac as much as Suzanne Vega or Lianne le Havas. (violin, arrangements) Ian Fisher sessioned for Chloe on an earlier project built around her compositions and a group of improvising musicians from the Music faculty at Coventry University. Ian joined Pathwalkers for his last year as a student, and brought his orchestral experience and youthful exuberance into the sound, adding energy and volume (and frequently tempo) to our live performances. His violin parts defined our arrangements of the traditional material in our sets, and his string arrangements for several of Chris’ original pieces have elevated and expanded their impact and intensity in ways which will outlast the band. Ian is a founder member of Pathwalkers’ offspring project The Merry Band. 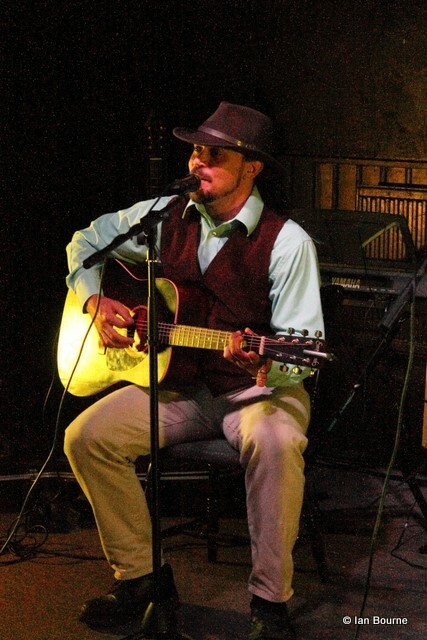 Ian works as an independent composer and performer in London trading as Ian Fisher (Composer) and is also a member of Salvage My Dream.